The Elusive $450,000 Dream Home: Where Did It Go? 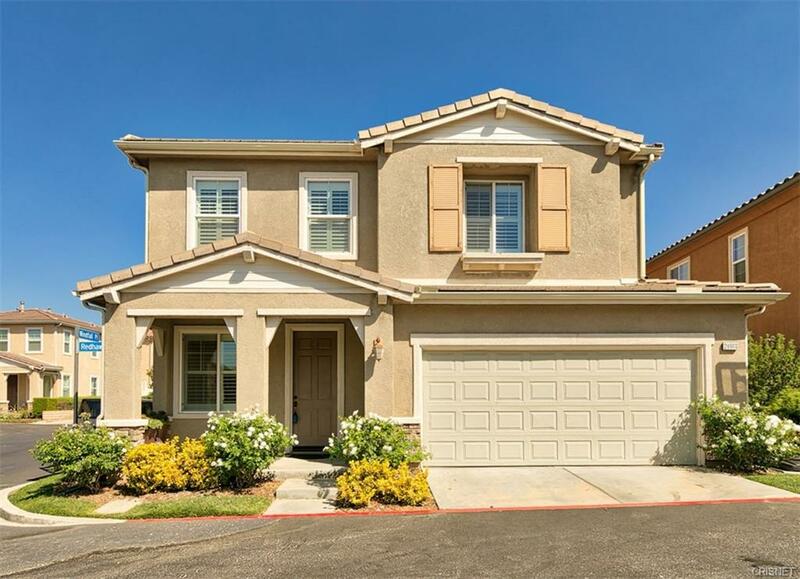 In Santa Clarita, there are currently 77 homes priced between $399k and $502k. 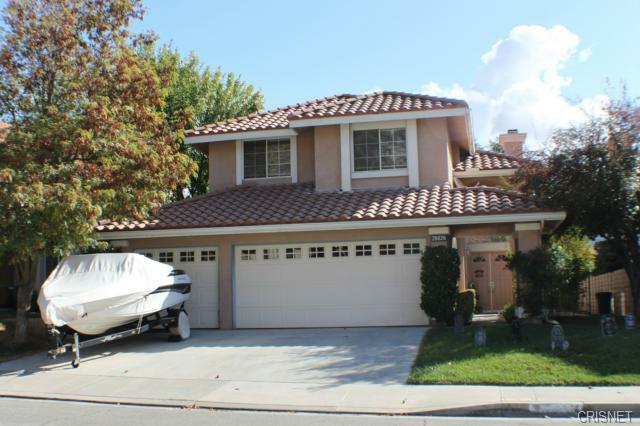 Five years ago, you could occasionally find a 5 bedroom home in the north county of Los Angeles for well under $500k. Back then, you were looking at a different selection of homes than you get to look at now. Take a look below at the sales figures for HOMES PRICED $399,000 to $502,000. 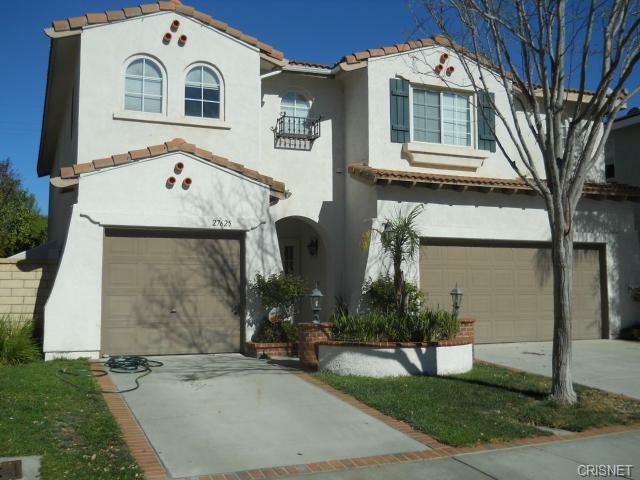 In late 2013, 1 of every 12 homes sold in Santa Clarita had 5 bedrooms. Now? 1 in a hundred! In late 2013, 42% of the homes you could look at were 4 bedroom homes. Now, just 22% are 4 bedroom homes. Yes, you can find some, but they are fewer and tougher to get. In late 2013, 44% of your choices were 3 bedroom, and now 54% of your choices are 3 bedroom. Finally, in late 2013, only 1 in 20 buyers had to settle for a 2 bedroom home. Now? 1 in 4 has to. 5 years ago, the median size of home sold at this price range was 1,817 square feet. Now? just 1,420 square feet. Do you see the trend? Your buying power has evaporated. The price per square foot back then? $238. Five years ago, homes lasted about 45 days on the market before getting sold. Now? 27. That’s the bad news. The good news? Interest rates now are basically identical to then. Other good news? 77% of buyers in this price range will find AT LEAST a 3 bedroom home to buy. No more 3-car garages, and your neighbors are closer. Embrace a smaller home.. Perhaps single story as well. 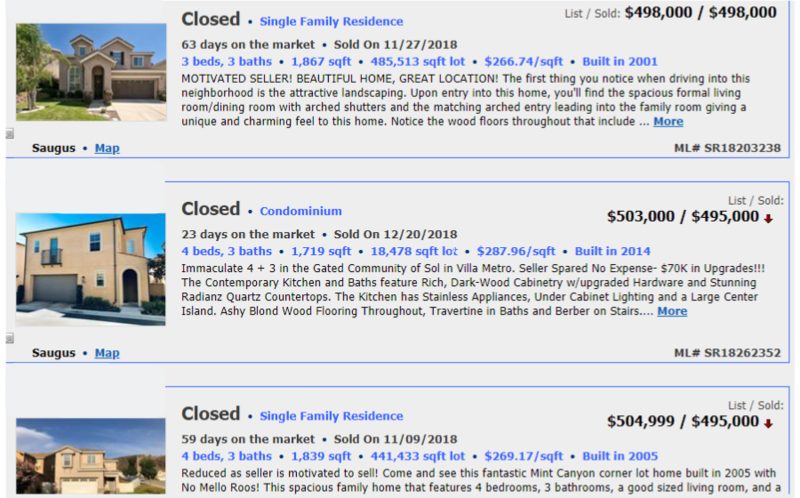 But look at these 3 recently sold homes. Notice something? They all sold for asking or BELOW. The take-away? Right now, buyers are more than likely going to spend less than $500,000 and be in a modern home with at least 3 bedrooms, and will not be in a bidding war to do it. Homes will be on the market long enough that you needn’t drop everything you are doing and rush to go see them. In short…. 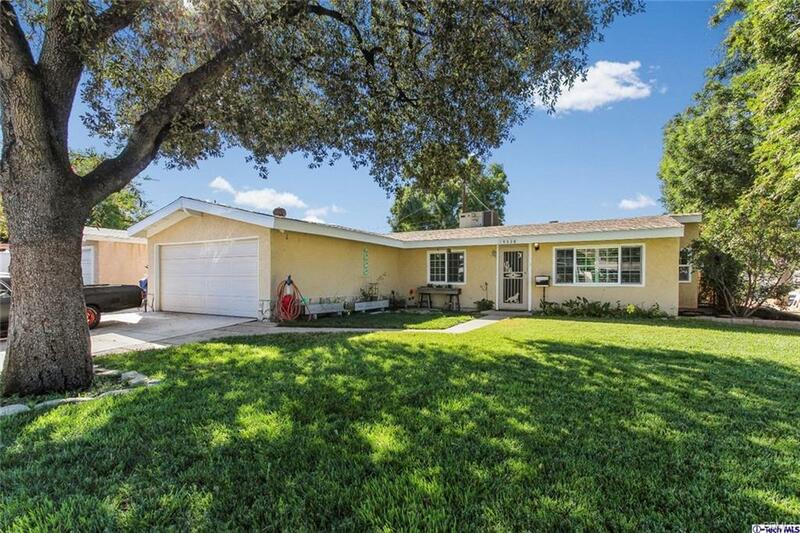 NORMALCY has made a return to the Santa Clarita / SFV market. Hallelujah.